I was up to the limit with my AT&T internet and I had 6 days before the month was up. At 10 cents a megabyte, it really adds up, I know, because we have gone over before. I couldn’t get on the www so had to do something! I had bought netting to make a Valentine Ballerina. 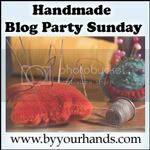 I thought, it would be fun to take pics as I go and add them to my blog. I drew up a pattern and went to work. 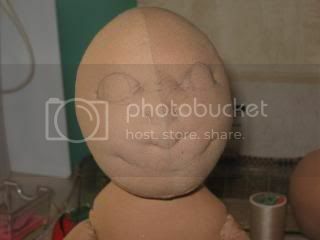 I know many of you make dolls. But there may be some of you that would like to see one in the process to the end result. Here is my doll laid out on my hand dyed muslin. 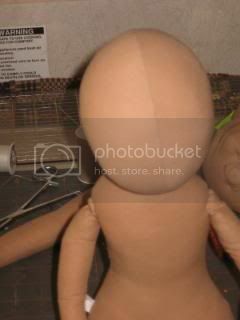 Notice the black arrows; I always add a tab in the side of my doll body for turning. I do not like to cut into the back of the body to stuff. The fabric ravels, and I think it looks bad. 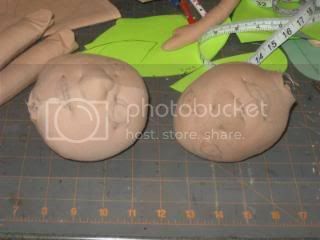 Disregard this head….It’s one I decided not to keep. 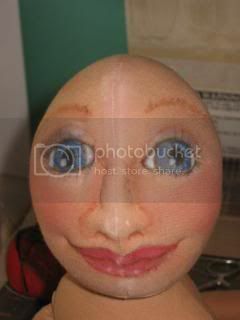 I like a little bit of soft sculpture, I think it gives a face dimension and personality. Crap, this one might not work either! 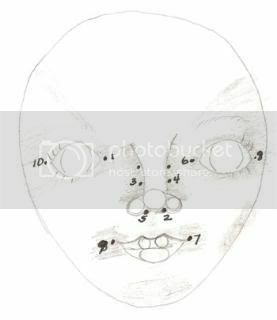 Above is the sketch for needle sculpting a face. Of course, you do anchor your knot in the back of the head and come out at number 1. This is my sketch, however, Patti Culea, in her book Creative Cloth Doll Faces, has a much nicer one. Well, let’s move on. 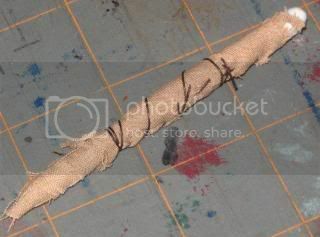 I wrap a Q-tip in scrap muslin to insert into the neck of the body. 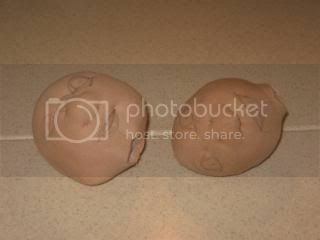 It gives the neck some stability without using a dowel which is hard and might slip. Now that I have seen her in a pic, I can see where I still need to blend her face. Okay, I think it’s safe to sew her legs on now. I am off to create her outfit.